Available in Standard or Narrow width. 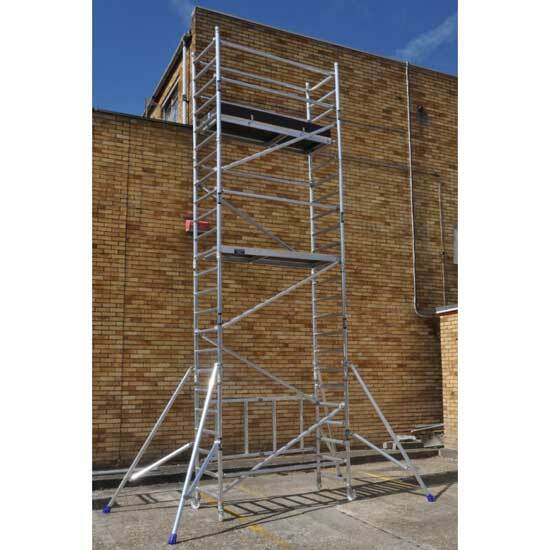 Working access platform height from 1.33m to 10.47m. Heights quoted are to the access platform, i.e. you stand at that height. The working height will be higher and depend on the height and reach of the operator. Use our Scaffolding Boards with Towers to bridge an obstruction. Handrail also available and is listed in our Bulk Items section.